Creative do-it-yourself hot tub project. 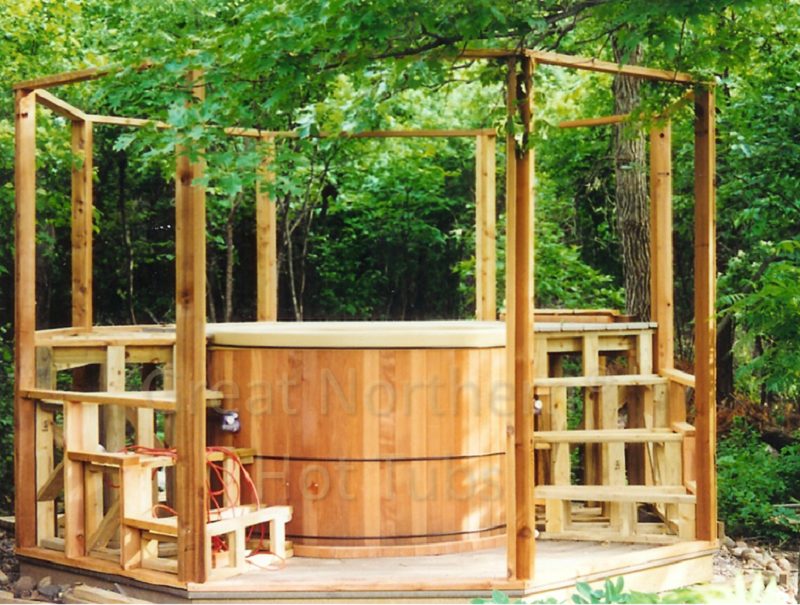 This hot tub project incorporates the round wooden Rubadub Tub® hot tub in a custom designed gazebo with steps. Next up, install the planking on the steps and surrounding deck.